Disclaimer: This is not at all healthy! Just had to throw that out there. But you know what, that’s ok. Ask any dietitian or RD to be and they’ll tell you everything in moderation. 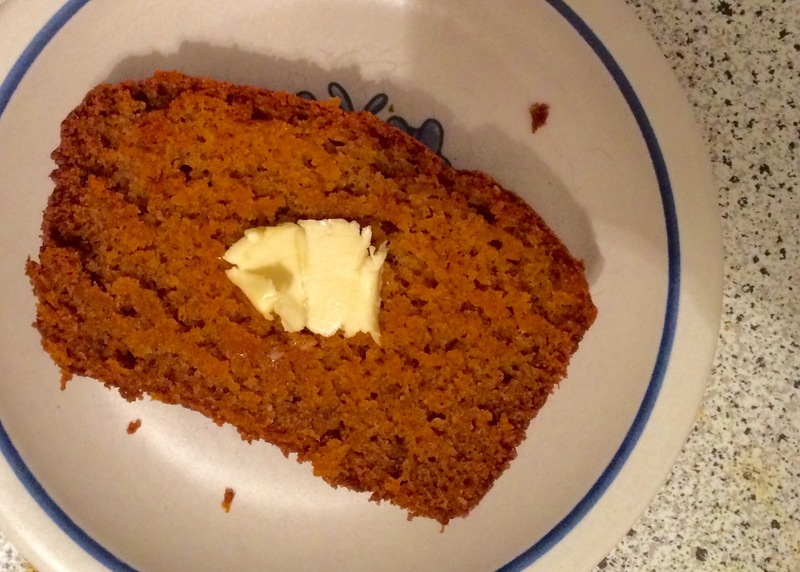 Personally I eat this pumpkin bread in moderation by leaving it on the counter and allowing my boyfriend to eat 3/4 of it. But its officially fall, which means its time for all things pumpkin (#whitegirlproblems), and pumpkin bread is probably my favorite of the pumpkin foods. 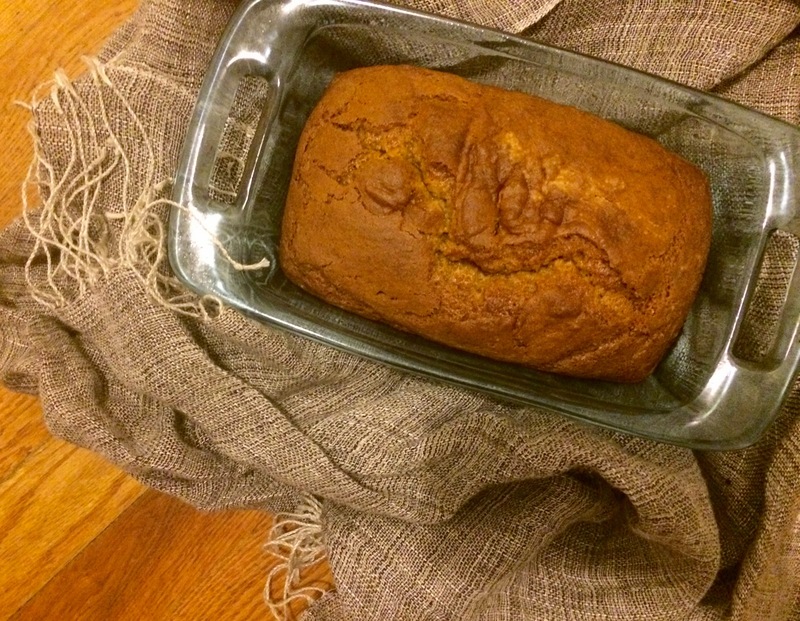 This is my favorite recipe, which my mom has been making for a few years now and it will make a pumpkin addict out of even the biggest skeptic. Also, guess what?! I’ve survived my first rotation! I have officially completed my wellness rotation for my dietetic internship, which means one down… 7 to go. I really enjoyed this rotation because I worked with a fairly new private practice dietitian, so I was able to learn about the business side of it as well. I’m sad that its over, but it also means I’m one step closer to the end. Now I’m gearing up for Food Service and getting excited about FNCE! Preheat the oven to 350F. In a large mixing bowl, mix together sugar and oil. Beat in eggs one at a time. Add the flour, cinnamon, salt, nutmeg, baking soda, and baking powder. Once everything is combined, add the pumpkin a little bit at a time. Pour into a greased loaf pan and bake 50 minutes-1 hour. The other bad part about this recipe is that its dangerously easy, so you’ll want to make it all of the time. You could also add walnuts or chocolate chips and I’m sure that would be delicious as well. When I made the gluten free version I used the Bob’s Red Mill 1-to-1 gluten free baking flour and just subbed it out and you wouldn’t even be able to tell the difference!